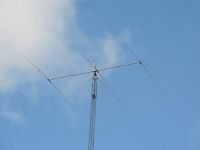 This website is operated by JK Antennas Inc. Throughout the site, the terms “we”, “us” and “our” refer to JK Antennas Inc. JK Antennas Inc. offers this website, including all information, products and services available from this site to you, the user, conditioned upon your acceptance of all terms, conditions, policies and notices stated here. By ordering and purchasing products from this website, you agree and acknowledge that all products are custom made or made to order. Any payment made or processed through the website is considered final. You also agree that any product ordered are custom and made to order to your specification & all sales are final and non-refundable. By placing the order through this website you also agree to our standard 4-6 week delivery terms. If a product is avaialbe in stock, it will be shipped sooner. Due to the nature of the custom orders, you agree that you will not call your credit card company and claim a refund without calling our customer support and resolve issues, if any. You also agree that any product ordered are custom and made to order to your specification, all sales are final and non-refundable. JK Antennas (“Manufacturer”) warrants to the original purchaser that this product will be free from defects in material, and workmanship for a period of one (1) year from the date of purchase. The determination of whether any part or parts will be covered by this limited warranty and whether any part or parts will be repaired, replaced or refunded will be solely determined by JK Antennas. Such determination will be made following evaluation of claim of alleged defect and subject to evaluation of possible misuse, abuse, unauthorized modifications, extreme weather conditions or improper installation. This warranty does not cover delivery, transportation, installation or any other costs that may be incurred from any defect. The purchaser, final customer, installer and user of these products individually and collectively acknowledge that these products can cause injury or death and individually and collectively accept full responsibility and liability for any and all personal and property damage (direct, indirect and punitive) caused during installation and subsequent use. We do not warrant that the quality of any products, services, information, or other material purchased or obtained by you will meet your expectations, or that any errors in the Service will be corrected. All warranty information is provided in the manuals of your products. In no case shall JK Antennas Inc., our directors, officers, employees, affiliates, agents, contractors, interns, suppliers, service providers or licensors be liable for any injury, loss, claim, or any direct, indirect, incidental, punitive, special, or consequential damages of any kind, including, without limitation lost profits, lost revenue, lost savings, loss of data, replacement costs, or any similar damages, whether based in contract, tort (including negligence), strict liability or otherwise, arising from your use of any of the service or any products procured using the service, or for any other claim related in any way to your use of the service or any product, including, but not limited to, any errors or omissions in any content, or any loss or damage of any kind incurred as a result of the use of the service or any content (or product) posted, transmitted, or otherwise made available via the service, even if advised of their possibility. Because some states or jurisdictions do not allow the exclusion or the limitation of liability for consequential or incidental damages, in such states or jurisdictions, our liability shall be limited to the maximum extent permitted by law. You agree to indemnify, defend and hold harmless JK Antennas LLC and our parent, subsidiaries, affiliates, partners, officers, directors, agents, contractors, licensors, service providers, subcontractors, suppliers, interns and employees, harmless from any claim or demand, including reasonable attorneys’ fees, made by any third-party due to or arising out of your breach of these Terms of Service or the documents they incorporate by reference, or your violation of any law or the rights of a third-party. Questions about the Terms of Service should be sent to us at info@jkantennas.com.